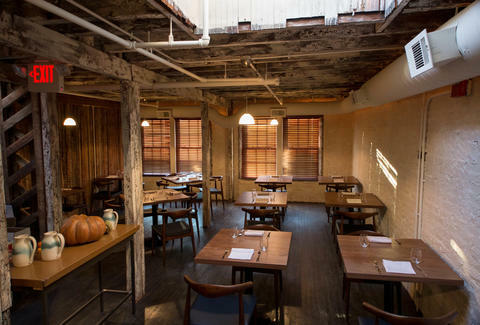 Opened by vets of Komi and Acqua Al 2, Sūna sits above the latter in Eastern Market, and bills itself as "inspired by nature", despite actually lacking much Flair, as the intimate, sky-lit 36-seater lets its food do most of the talking. Though there's a designated four-person chef's table, the place is small enough that you're never too far from him, and every table is funkily pre-fixe'd out, with your only options a carefully structured four- or eight- course tasting menu. Like the things that Mark Sanchez can't ever hit, the menu's a moving target: it's constantly rotating, and while you can always check out the current dishes here, their first batch of courses run from a pork dish with tahini/kale/daikon, to a more Westernized grains/sunchoke/broccoli fowl preparation, to highly seasonal pumpkin plate with black pudding/yogurt/pine nuts. 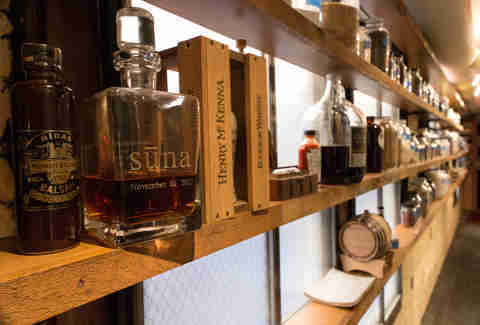 When it comes to booze, you can either opt for their pairings, or choose from an "Old world meets New world" wine list, and 10 craft beers like Belgium's Petrus Oud Bruin and Japan's Hitachino Nest white ale. And if you keep things basic, you can get out of this place for under $50, meaning a gourmet pre-fixe without three figures, much less a figure four.